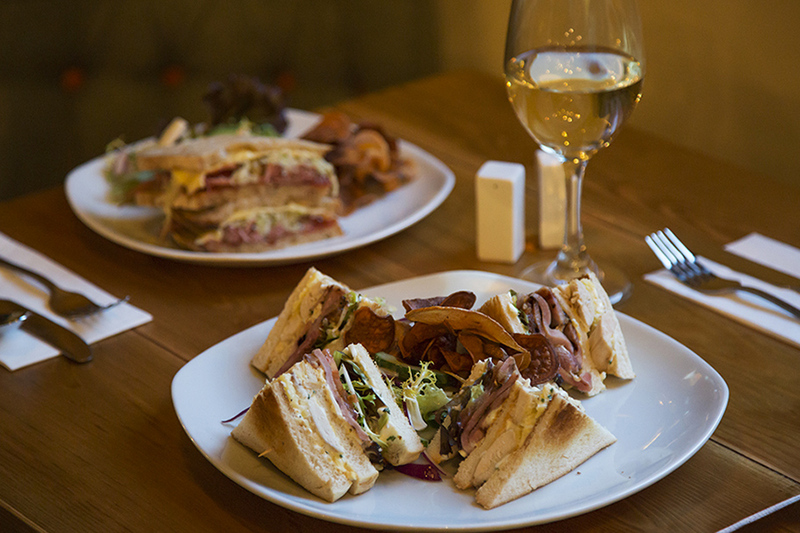 From only £12 per person enjoy a delicious Afternoon Tea at the Copper Cafe. 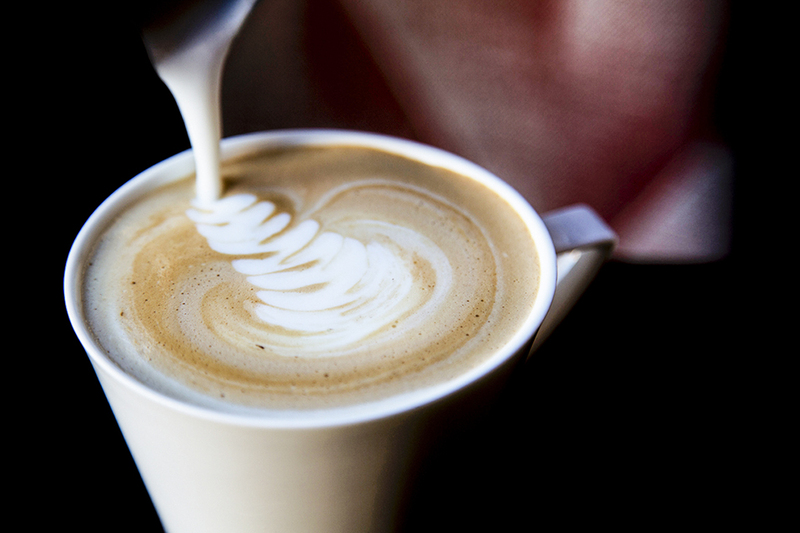 Tea or coffee served with a lovely selection of sandwiches and a fruit or cheese scone. Additionally you can add a glass of sparkling wine for an extra £3 per person. Book online for free text confirmation or call 0115 754 9304 . For £18 per person you can enjoy brunch drinks at Copper City with bottomless Prosecco, Bellini, Mimosa, Bloody Mary or Pimms for 90 minutes. Served 9am - 5pm. Booking is essential. Please note food for the Sunday brunch is purchased separately. Not available Sunday 17th March 2019. Book online for free text confirmation or call 0115 754 9304 . Get your roast on at Copper City with for two courses for £15 or three courses for £18. Book online for free text confirmation or call 0115 754 9304 . Nice table in a great spot but not too happy about a lady behind us being aloud to vape at the table. Didn't realise vaping was permitted in your restaurants. Food was well presented, but found the scones difficult to eat due to the strong taste of baking soda. The young blond waitress was lovely and very attentive. I think we were a little disappointed with the small quantities of jam and cream, which was barely enough for one let alone 3 if us. Sadly our overall experience wasn't great and would be reluctant to book again. The food at copper was amazing . So tasty and the presentation was great. Staff very friendly and polite at all times. Perfect location for a pre-theatre meal, with a very good choice on their set menu, and specials are included in this too. Always love the homemade scotch egg! Service was great, friendly staff made us welcome and we had a nice leisurely meal. Really tasty food and good service. When it’s busy can be loud but think that was a party that was in. Very good value for money. Definitely recommend. Excellent brunch, perfect location before a day’s shopping. Great bloody Mary's too! Service was excellent very attentive the ambience really nice my first visit to this Copper but a fan of West Bridgford Copper so had high expectations and was not disappointed. A last min booking that turned out to be a very good choice. Seated upstairs by the beautiful cast iron staircase, looking out to the theatre. Wonderful food and staff were very attentive to allergy inquiries. I would defiantly recommend. Wonderful food and great service by all staff. The meal was very nice. It was our first wedding anniversary and we had our wedding meal this time last year at Copper City Nottingham. Thank you. enjoyed the evening, food was really nice and service from staff was excellent! 16 of us had a superb meal at Copper yesterday 9th December. Thoroughly enjoyed by all. Wonderful service and food. Always great brunch, lovely weekend treat. Very good all round will definitely be back. We had a nice table that was set back a bit from the hubbub of the busy bar. We were given menus and water straight away. Very good service by friendly and helpful staff. Food choices were good and good sized. The set menu was great value for money and the wine we had was very nice too. Although have visited Copper on many occasions this was our first time eating there. The food was excellent and very good value for money. Faultless service as always. Copper is our go-to place when on a night out in Nottingham. 1st visit to the Copper, and would definitely go again. The lady who served us was lovely, very attentive! Nothing was a bother even when it got a little warm she adjusted the air con. Very good value for the meal and will definitely be recommending to friends. The booking process was very quick and efficient..... Definitely use this method of booking again thank you. Excellent place. First class service. Food reasonable price. Fab ambience. Definitely coming back. Great food, the staff were fantastic and very accommodating. We had a bottomless brunch for my friends birthday & roast dinner. Will be back! Yesterday I ordered the superfood salad with chicken. Good for you and delicious at the same time. We enjoyed a fabulous afternoon tea. We couldn't of been happier. Food and service were fab. Lovely food and excellent service. A lovely meal, well presented and very tasty. Good value. Kind helpful staff. I had Salad Nicoise which was lovely, but my two friends had fish and chips - one of which was lukewarm and the other only part cooked. We hate to complain but the undercooked one felt she had no choice; it was taken away & she was later served a freshly cooked meal that was steaming hot. Consequently our lovely piping-hot coffees were on the house. Having eaten at Copper many times, and being gluten-free, they serve a good selection of food, also a few vegan dishes which was needed at my last visit yesterday. The g.f. club veggie sandwich could have done with being hotter so the cheese melted more which wasn't the case this time, it did spoil the meal a little, but otherwise all good, thank you. Excellent food and really attentive servers. I've eaten here twice - once I popped in for lunch with a friend and we were very impressed indeed with the service and food. The second time, I booked on-line for pre-theatre dinner and again everything was excellent. I certainly want to eat here again. Excellent greeting, friendly & professional staff. Prompt service. Food very well presented and absolutely delicious. Good value for money. Very nice atmosphere. Would recommend to family & friends. Excellent meal. Perfect for a hot day. The seabass was absolutely scrummy!!! Service was brilliant too! Great food in a lovely place with great service. My favourite place for Brunch! We had a fantastic lunch here yesterday. It was rather busy so really pleased we booked. Food was fabulous - too much to choose from, we were spoilt for choice. Good wine selection too. Service was spot on, nothing was too much bother. Would def return and def recommend it. Thank you ?? Really nice staff and the food was great! Food was excellent! It was fresh, piping hot and great value for money. Good selection too! Desserts equally delicious. Attentitive staff, not pushy or over the top. Knowledgeable and friendly. Great brunch!! Good service. Good location. Lovely decor/setting!! Will definitely return!! Excellent value pre-theatre meal, and brilliant location for TRCH. Good wine selection as well. Excellent would highly recommend. Good service and food was very good considering it was lunchtime. Will be visiting again. Great meal. Nice service didn't feel rushed. Food was fantastic and great value for money. A very pleasant pre theatre lunch. Prompt service with a smile. We enjoyed our food and drink. Good value for money so we would recommend to friends. Pre theatre meal excellent service food high quality. Had pre-theatre meal. Reasonable choice for all tastes, paid extra for the steak which was worth it. Outstanding food, the menu was a set meal for the pre show at the theatre, great choice and well worth the cost. Great service from the moment we arrived and through out our stay. We had a very enjoyable breakfast, staff very friendly only thing not so good was that it wasn't very warm. Delicious. Brunch and excellent service! It was a very busy night and we were told there would be a wait for the food. We had to wait 90 mins for our meal to arrive, but they forgot our starters and just brought our main course, by which time we were very hungry. They did bring us a complimentary bottle of wine to make up for their mistake though. Overall the food was very enjoyable, just a shame about the delay. Excellent pre-theatre dinner menu, very good value. Great place for pre theatre meet and grub. That aside, great place! The staff are very attentive and friendly, without being over the top, food was fab and the atmosphere, especially as time went on and the place got busier, was excellent. Definitely recommended. Only slight criticism was that it was a noisy as the bar was busy. But I suppose that’s what you expect on a busy Saturday evening. Delicious Food and Great Service. Will definitely be coming back!!! Steak was really tough and not very nice. Fish was a bit under cooked...othermine OK.
A lovely meal and atmosphere as usual. Great place for a pre theatre meal. Varied and interesting food beautifully presented. The pre-theatre menu offered excellent value for money and service was exemplary. We decided to hook the pre theatre deal on offer. Very reasonable £15 for two courses or £18 for three. Food was served promptly and was of a high quality. Would definitely go afain!!! Nice food but limited choice. Very good food reasonably priced and excellent attentive staff. We went as a party of 12 for my dads 80th Birthday. The staff were very attentive to us. They also dressed the table with balloons and banners for us. Everyone enjoyed their food, I think all the plates were empty except for my mums who couldn't manage it all so that speaks for itself. Food is simple but well cooked and presented. I love this restaurant. I had my 50th birthday there and on this occasion my wedding meal. I came in the day before and asked if I could bring a cake and balloons etc. The staff that dealt with me were very friendly, polite and helpful. Food was lovely as always. Thank you. Great food, service and ambience. Thank you! Lovely Xmas set menu for our group of 8. £25 for 3 courses, service not bad considering how busy it was. First meal at Copper, food fantastic, piping hot, staff friendly & attentive, will be back & wouldn't hesitate to recommend, thank you! Food was fresh and nicely presented, tasty and satisfying. Thank you! Delicious meal with friends, great service. Highly recommended! Lovely meal and excellent value on the pre-theatre menu. We eat here several times a year when we visit Nottingham. Lovely place, staff are lovely and the food is excellent. I would also like to thank both staff and customers who came running to our rescue yesterday when my mum had a little tumble. Luckily she only hurt her pride. A very cool place, food was fine, and the service was excellent. Worth another visit. 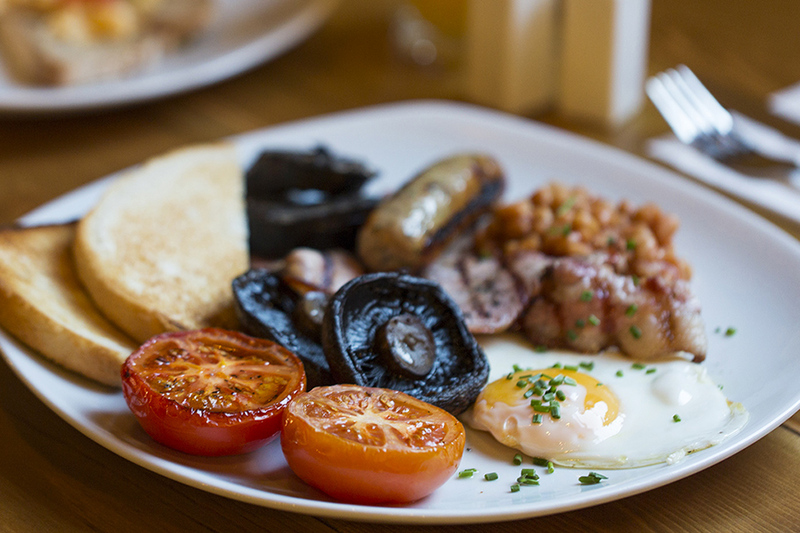 Delicious breakfast menu, with a really good choice (and served until later than a lot of other places in Nottingham). Good bloody marys too! Brunch was delicious and very good value- I'll definitely be back! Really good choice of food on the menu. We had the two course theatre special. It was excellent and really good value for money. Lovely meal prior to a great evening at the theatre. I have waited for my food 1 hour. However, the service was very great. Attractive venue, tasty food, polite helpful staff. Very busy when we were there at 7pm. Obviously a very popular place. Absolutely loved this place...little gem! Best steak I've had for a while and staff very friendly. Very good service at Copper and food was lovely. Bonus cocktails with 2 for price of 1. :-) very good! Friendly and helpful staff, not a massive menu, but what they do they seem to do well. Will go back! Wonderful food and excellent service at Copper. Going that extra mile! 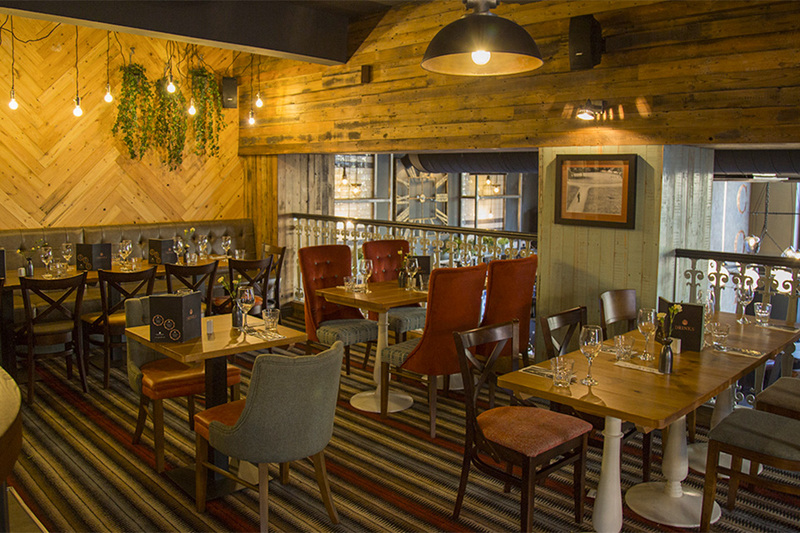 Stylish interior decor, extensive menu and excellent service in a great location. Was recommended. Could not fault the service or staff and the food was yummy too. Portions were very large. Really delicious food and wine, and the atmosphere is great too. The live guitarist on Thursdays is brilliant! Nice meal, service was a bit poor though, had to wait a long time for the meal. Fabulous atmosphere and food at Copper! Highly recommend! Very enjoyable evening at Copper with friends. The food was very tasty, and the value was great as I used my Go dine points. Overall the experience was good, it was my second visit so I was not disappointed. Slick service, attentive, non rushed & friendly atmosphere. Lovely food, this is my 2nd visit in a matter of weeks, and now a firm favourite. Brilliant pre-theatre menu at Copper, with a particularly delicious sea bass main. The house red wine is excellent too! We really enjoyed our evening and the atmosphere was lovely, very good value too! We chose Copper City for our meal with old friends as we knew it would have a lively atmosphere with fab service - it delivered! Excellent food and great place to eat and drink! Service was really good too, they looked after us really well!! Excellent value and well served food . 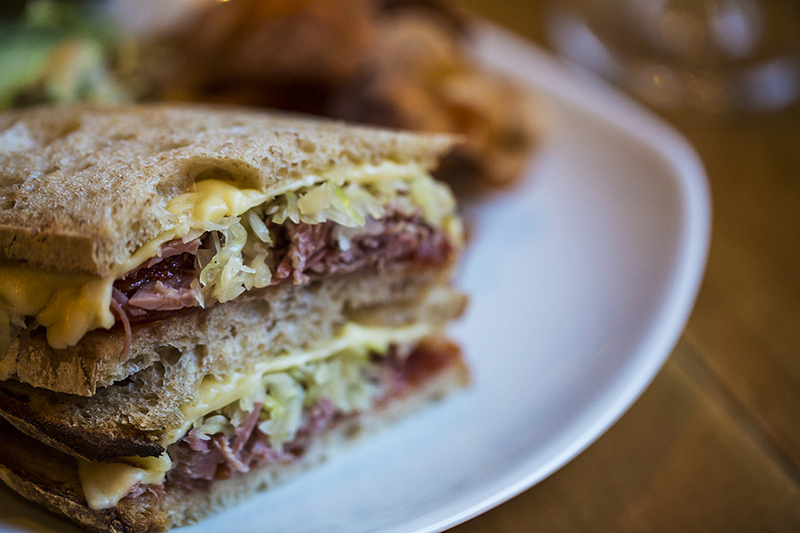 Copper is the best cafe in Nottingham. Pre-theatre menu was fab value at Copper, 4 choices for each course with good variety, great setting, went on a Thursday so enjoyed live music which wasn't too loud or intrusive. Overall very happy and will definitely return. Always an excellent meal at Copper served by helpful staff. Great atmosphere no matter what time of day! Excellent starter of Crispy Pig's Head Terrine, very tasty and filling. Rib-eye steak requested rare but was medium. No time to request a change, being pre-theatre but it was a nice piece of meat and huge serving of chunky chips. Love the atmosphere and decor here on the mezzanine floor. Nice house red - a Tempranillo. So handy for the Royal Centre. One of our pre-theatre favourites. Went with a party of 11, we all really enjoyed the meal. Highly recommend, service was brilliant, will definitely be returning to Copper! Fabulous night! Had pre-theatre set menu which was great value. Food delicious and great service. Would definitively recommend Copper! Amazing restaurant, staff really friendly and food was amazing! Will be going back very soon! From the moment we got into the place, everything worked extremely well to make our pre theatre dining experience the perfect start to the evening. Will definitely do this again! Lovely venue and the food I ordered was fab, the ploughmans plank. All three of the planks sound lovely one that has a mixture of all of them would be amazing (fish, crispy veg, hummous bread and some ham/cheese) Everyone enjoyed their food. We were never offered a second drink and I had told copper that we were on our lunch break (time is tight) so if we had of been asked for another drink/coffee/dessert pretty quickly I'm sure everyone would of said yes. Our bill also had another tables order on which is always awkward when you're on a team lunch and the boss is paying and has to ask the waitor to correct it. There was also christmas decoartions still up where we were sat. Nice relaxed atmosphere at Copper, nothing too much trouble. I had mackerel pate' for starters & Seabass for my main course. I really enjoyed both, and lovely presentation. Visited Copper in town on Sat 19th Nov for Early Bird Meal. I had mackerel pate which was fantastic, big chunks of mackerel, not a traditional paste, very tasty, for mains I had steak (£4 supplement), again fabulous, succulent, tender, tasty, Hubby had tomato Carpaccio which was tasty, with Sea bass for main, which was fabulous. Worth every penny, great service, ambiance, central location, you can't go wrong! The food was very good with good service, although seemed to be a wait between courses. The table we sat at was by a window and we had to move tables because of a draught and it wasn't much better then. Excellent value pre-theatre meal. I'd highly recommend the scotch egg starter! It was quite a squeeze to fit in all 3 courses before needing to head to a show, as the restaurant was very busy. But delicious food and very good value. Had a pre theatre meal at Copper which was lovely. Good quality and served quickly. Good atmosphere and friendly staff. Our meal was lovely as usual at Copper. Have been here on many occasion. Great atmosphere, friendly professional staff. Food is always good! Delicious full English breakfast at Copper, would highly recommend! And good bloody marys too. They did get part of the order wrong, though, and this couldn't be corrected as breakfast serving time had ended. Afternoon tea was delicious and amazing value for money! We had a pram with us and they were happy to let us keep it by the table as my friends baby was asleep. Service great and friendly at Copper. Whole evening was very enjoyable from having cocktails to eating the meal. Atmosphere was great at Copper, busy and buzzing as expected on a Friday evening but the waiting time for drinks & food was very short which was good. My friends & I had the pre-theatre 3 course meal at Copper and it was excellent. My friend who had the gnocchi found it a bit dry but everything else was delicious. The staff were friendly & helpful & we made the theatre in plenty of time. First time at Copper at lunchtime. Excellent food and the staff were very attentive and professional. Will definitely be returning- maybe try an evening. Had a lovely meal recently at Copper. Had steak and chips, delicious. Cocktails weren't bad either. The food was fantastic. Perfect portion sizes and reasonably price. Strawberry daiquiri was also really nice. Will certainly coming back! Pleasantly surprised by the good quality and taste and it across the road from the theatre so ideal for the pre theatre meal we had. This was my first visit to Copper and I was impressed. It's very convenient for a pre-theatre meal, situated just across the road from the Theatre Royal. The three courses from the set menu were all tasty, balanced and beautifully presented. The food was great value for money and served promptly, with a cheerful smile. I will definitely go back. Great meal, great place, great staff! Had the pre theatre 2 course meal at Copper. Great food and quick service. Ideal for theatre Royal and concert hall as it's located directly across the road. Highly recommend! The food was good but we went for the set menu which didn't have much choice. The food came very quickly and our waiter was very nice. We were seated upstairs which has some lovely furniture and lighting but it could've been nicer if more natural light could come in. Thought it could've been slightly better value for money, but still a good nice place to go. I had the fish stew at Copper which was lovely. I ordered extra potatoes which was a mistake as the stew was enough on its own. Excellent pre-theatre 2 course meal. Would have had 3 courses if service had been just a little slicker. Potted beef, bacon & Yorkshire Pudding starter was superb. The venue is very good, even early in the evening in a week day and the service was excellent. The only critisism of the meal is that there was too much lettuce and not enough 'super food' in the main course - the gravalax salmon, however, was plentiful and tasty. An enjoyable meal experience. The meal was ok and the surroundings were lovely. Pre booked our table for 10 and was in a lovely spot out the way. Would return. Excellent Sea Bass and smoked beetroot Gravlax at Copper! Lovely place, friendly staff, good time had by all! High Tea was lovely at Copper, lots of nice sandwiches, really good value for money! Service was good too. Would definitely recommend to anyone. We visited Copper for brunch and were pleased to see some interesting options on the menu. The building itself is great though the food was a little overdone and took a while to arrive. 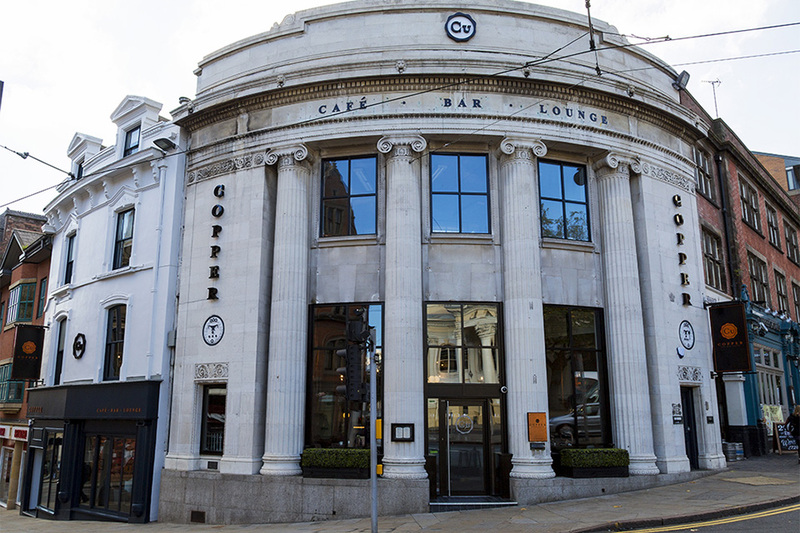 Copper Café and Bar's city centre venue resides in a sprawling period masterpiece opposite the Theatre Royal. Serving breakfast, brunch, lunch, afternoon tea, dinner and drinks, it provides a stylish setting for almost any occasion. 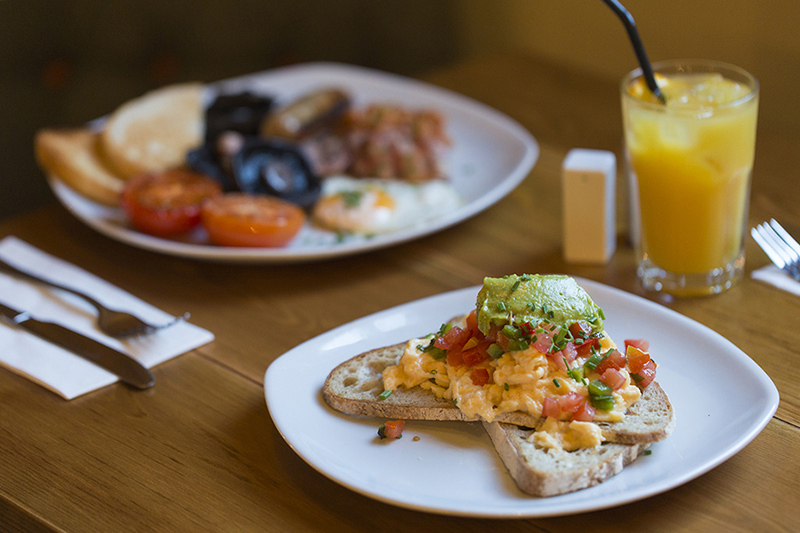 When it comes to the food, don't miss the Sunday Brunch menu for a real weekend treat including the likes of rump steak, sautéed potatoes, fried eggs and toast. From the a la carte menu, smoked haddock and bacon chowder and pan-fried courgette fritters with tomato chilli jam and halloumi get things off to a great start, followed by mains that include chicken stuffed with chorizo and coriander as well as pan-fried sea bass with sautéed new potatoes, chorizo, samphire and red onion. 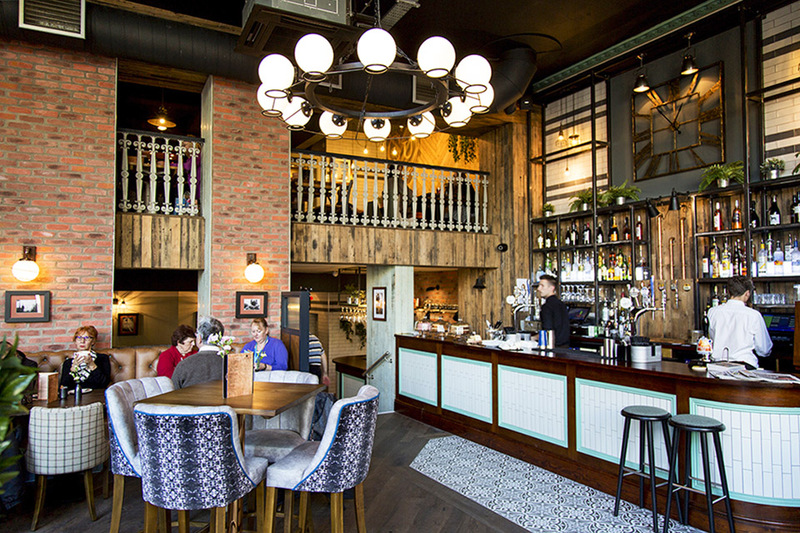 Copper Café may be relatively new to the city, but it has already managed to carve out a great name for itself alongside its sister venues in West Bridgford and Mapperley. Book a table today to enjoy a touch of luxury on your next eat-out occasion. Milk bun, double patty, chipotle mayonnaise, gem lettuce, beef tomato, slaw and paprika seasoned fries. Choose from Cropwell Bishop, Emmental or Cornish brie if adding cheese for an additional £1. Milk bun, tomato and chilli jam, gem lettuce, beef tomato, slaw and paprika seasoned fries. choose from cropwell bishop, emmental or cornish brie if adding cheese for an additional £1. From only £12 per person enjoy a delicious Afternoon Tea at the Copper Cafe. Tea or coffee served with a lovely selection of sandwiches and a fruit or cheese scone. Additionally you can add a glass of sparkling wine for an extra £3 per person. For £18 per person you can enjoy brunch drinks at Copper City with bottomless Prosecco, Bellini, Mimosa, Bloody Mary or Pimms for 90 minutes. Served 9am - 5pm. Booking is essential. Please note food for the Sunday brunch is purchased separately. Not available Sunday 17th March 2019. 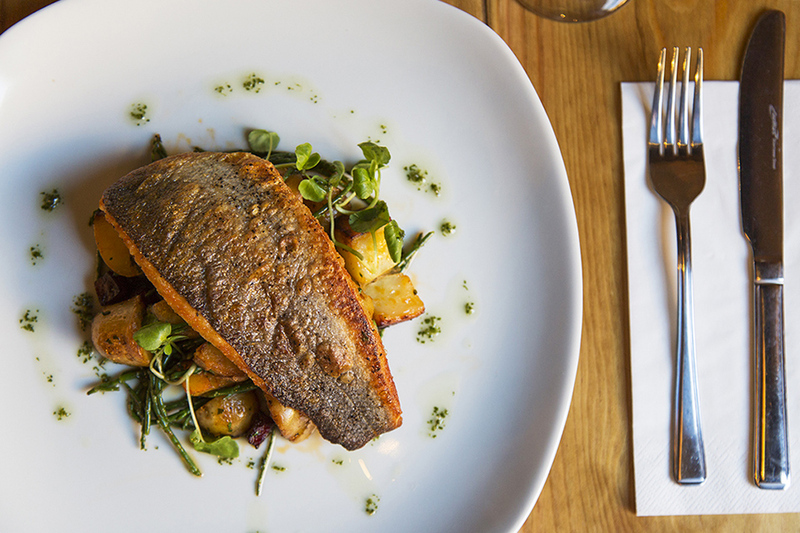 Get your roast on at Copper City with for two courses for £15 or three courses for £18.